With Databox, we can now aggregate data from multiple marketing and sales software platforms to give our clients the data they need, when they need it. 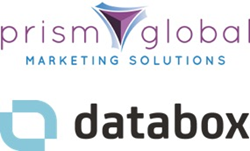 Prism Global Marketing Solutions, an inbound marketing agency and HubSpot Platinum Partner, is excited to announce their recent partnership with Databox. Databox is an all-in-one business analytics platform that enables agencies to deliver unique analytics dashboards to clients in real-time. Databox allows agencies and their clients to create customized dashboards highlighting the analytics that matter most to them. By adding Databox to Prism Global Marketing Solutions’ digital marketing programs, it enables the agency and their clients to access more integrated insights into website traffic, leads, and customer behavior to make smarter marketing decisions. Using Databox, Prism Global Marketing Solutions can aggregate analytics from multiple sales and marketing platforms including: HubSpot, Wistia, Seventh Sense, Google Analytics, and much more. This allows Prism Global Marketing Solutions to keep track of the most important Key Performance Indicators (KPIs) and provide clients with real-time visibility into critical marketing metrics to help businesses understand the data, and how it coincides with digital marketing and sales campaigns. "Given Prism Global Marketing Solutions reputation for leveraging multiple marketing technology platforms for every one of their clients, it wasn't a surprise to see them roll out aggregated marketing KPI monitoring using Databox to all of their clients in record time, but it was certainly impressive. Together, we look forward to helping many more companies be more data-driven and ROI-focused," says Peter Caputa, CEO of Databox. “We are honored to be one of only two Databox Premier Partners around the globe. With Databox, we can now aggregate data from multiple marketing and sales software platforms to give our clients the data they need, when they need it. With the data in a dashboard format, it allows our clients to share important metrics internally, and enables us to make real-time recommendations to their marketing and sales efforts to drive better and faster results,” says Elyse Flynn Meyer, Founder of Prism Global Marketing Solutions. To learn more about how you can leverage Databox for real-time analytics with your digital marketing campaigns, click here to schedule your complimentary consultation.